One million international students are coming to U.S. campuses every year from all over the globe. They speak different languages and follow different religions. They have different views on success and careers or gender roles and family. Some are here as visiting scholars or exchange students for only three months and others are enrolled in an undergrad or graduate degree program for the long haul. The one thing they all have in common are the stages that they go through before, during and after their time on campus. 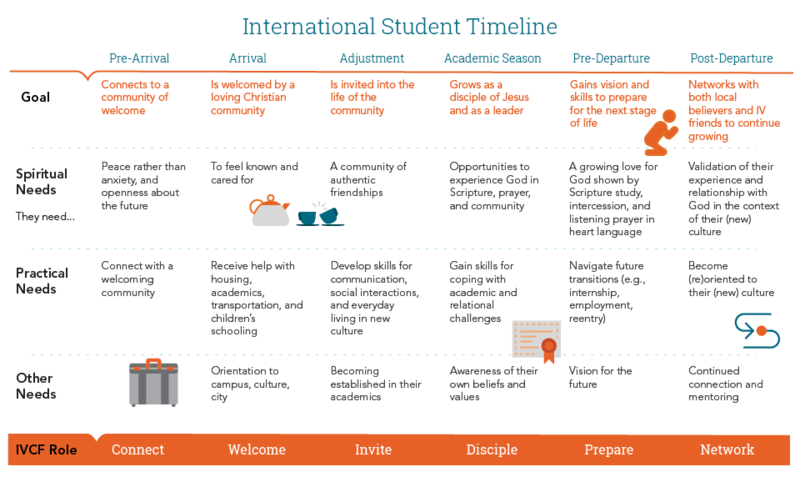 In order to fulfill our Biblical mandate to “make disciples of every nation,” InterVarsity needs your leadership at each of these stages! 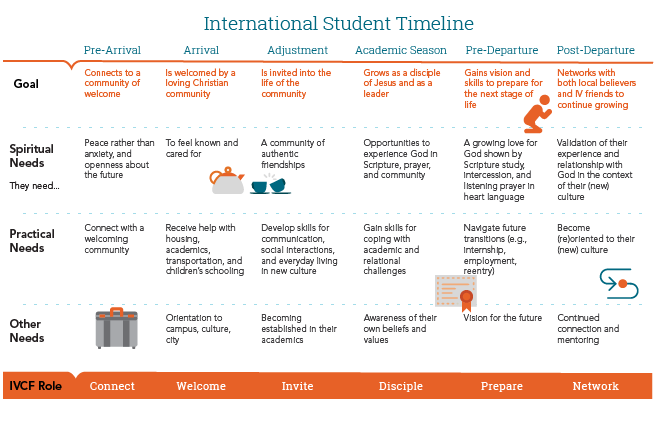 How has God gifted you to serve His purposes and to bless international students?